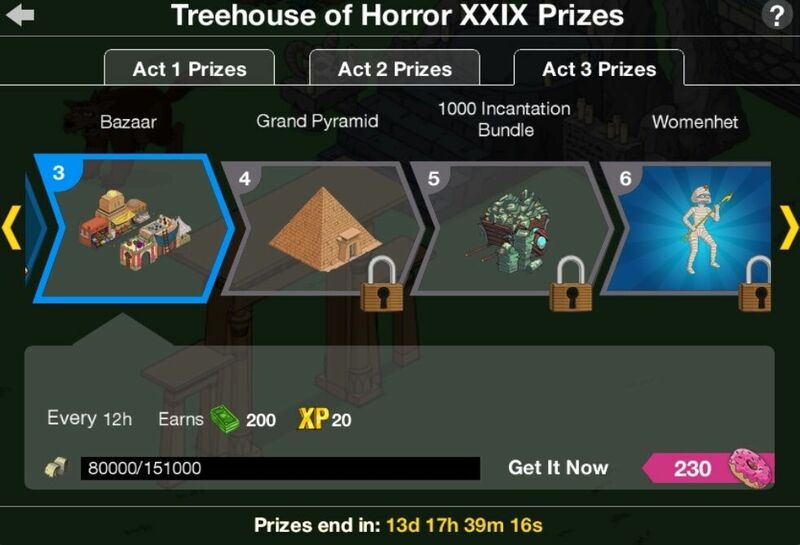 ← Should I Spend Donuts On the Cursed Tomb and Mummy (Amenhotep)? It’s kinda big…but looks great! Martin:Oh my goodness! An outpost of the exotic ancient Sahara has opened in Springfield! Finally, my years of practice bargaining at the Springfield Elementary Haggle Club will pay off! I’m off to drink tea and save big on rugs and fezzes. Bart: So, how’d the bazaar bargaining go? Martin: Not well. I got a nice-looking fez, but in return I seem to have sold myself into slavery as a camel-dung collector. Bart: Still, it’s good to learn a marketable skill. I love Martin. It’s great having a smart kid besides Lisa in our towns. The rest? Not so smart. In fact, the number of smart kids to dumbasses is almost Bizarre! (sorry…had to use it once more). Next Prize- THE GRAND PYRAMID!!! Spooky! This entry was posted in Decorations, Tapped Out and tagged Tapped Out Tips and Tricks, The Simpsons, The Simpsons Tapped Out, TSTO, TSTO Act 3 Prizes, TSTO Addicts, TSTO Bazaar, TSTO Community, TSTO Tips & Tricks, TSTO Tips and Tricks, TSTO Treehouse of Horror 2018, TSTO Treehouse of Horrors 2018. Bookmark the permalink. I’m working towards getting Florence of Arabia from the Vault this week, hoping that the building will fit in with the bazaar. Well …. that didn’t work out – the scale is all wrong ! Read other replies. EA SNAFU. Is there a specific spot I can find this without going through all the posts? I didn’t know if it was covered or not in the past. The Egyptian theme is one of my favorites. How is it possible to place it over roads ? 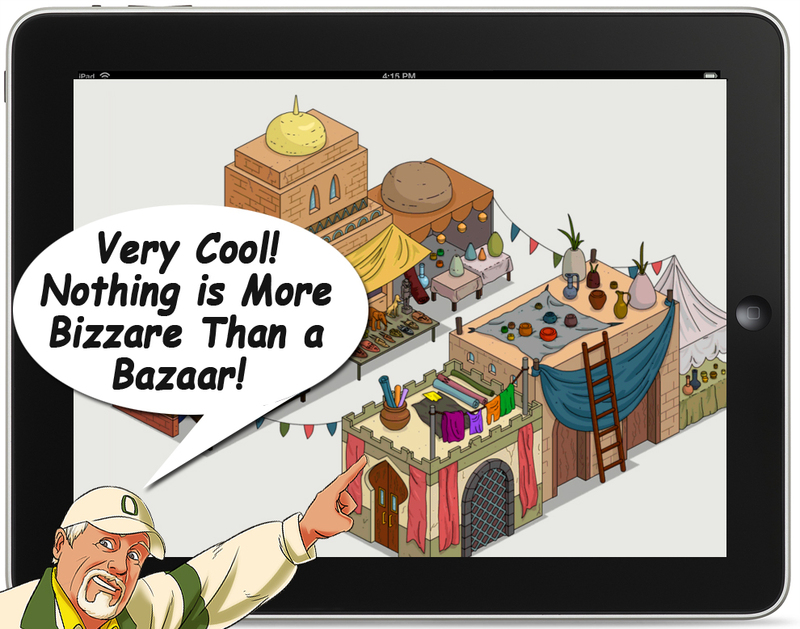 Place the road…then the bazaar. Haven’t tried the roads but the dirt path looks great with it but not centered down the middle and no way to adjust it to work but won’t matter when that area will be all dirt until when or if they ever release sand tiles to go with the dunes. You accidentally did the same thing with the second word: “to” vs. “two”. I do like that you can run a road through it. They should do more buildings like that, that go over roads, but that actually suit Springfield. The design opportunities would be amazing.